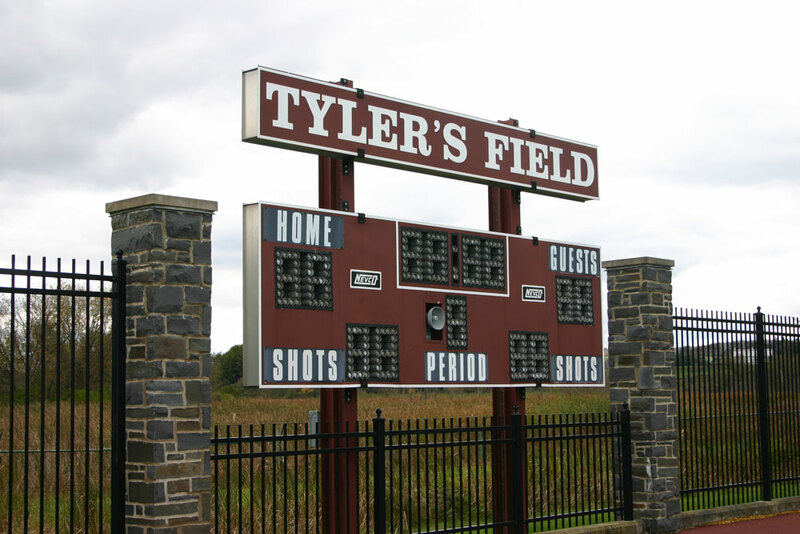 Tyler’s Field is home to our Colgate Field Hockey team. This facility features an AstroTurf playing surface, lights, and a press box. This facility also has a capacity of 735 with bleacher seating, in its blue stone-clad stands, which also includes team meeting rooms and restrooms. Tyler’s Field was dedicated on Oct. 17, 1997, by George A. (Tony) Whaling ’59, Suzanne Whaling, and their family as tribute to their son, Tyler '93. Tyler graduated from Colgate in 1993, while playing both football and lacrosse, as #83, from 1989-93. On this day of the dedication, the field hockey team defeated Bucknell by a score of 3-1.